This section supports ongoing professional learning and reflection. It is sub-divided into four possible sub-sections or avenues for learning and reflecting (individually and/or with colleagues) about the topic of the module. This sub-section draws on quotations and/or a short, animated video vignette as catalysts for thinking about the module’s topic, either as a starting for, or ending point to, professional dialogue. It also provides a “third point” to surface prior knowledge and experiences or to explore divergent perspectives and assumptions about, or discomfort with, the topic in a safe fashion. Option A: View the COPA/OTF Capsule for Teachers entitled Working Together for Students’ Academic Success (bit.ly/Capsules4Teachers) and use it as an entry point to or catalyst for a deeper discussion about ways to involve parents and guardians in the academic success of students. Option B: Use a think-write-pair/share approach, anchored to the quotations that follow, to begin a conversation about how teachers and educators can work together with parents and guardians to support students’ academic success. Individually, select one of the following quotations (in whole or in part) that resonates with or stands out for you. Remember, the quotation can resonate either because you agree or disagree with it. Record or write why or how the quotation “stands out” for you. With a colleague or as a small group of colleagues, take turns sharing your quotation and ideas/thoughts about it. This sub-section uses a fictional but authentic or plausible scenario involving teachers/educators’ interactions with parents/guardians. It encourages the use of innovative, critical thinking and problem-finding/solving approaches to explore uncomfortable or problematic situations or issues. It also offers opportunities to rehearse possible responses or actions in a non-threatening context or forum. Lastly, it provides a “third point” as a foundation for safe, professional dialogue. Huang and his family immigrated to Ontario three years ago. Huang is in your grade two class and has shown some ability to communicate orally in English, especially in social contexts; however, you have noted that he experiences difficulty both with reading and writing in English. Parents’ night is a few weeks away, but Huang’s parents have already expressed, in halting English over the phone, concern about his progress in the areas of reading and writing. They fear he may fall further behind in reading and writing skills as the language demands, including more complex reading materials and longer writing tasks increase. They also worry that they do not know how or what is available to help them support reading and writing skill development at home. What is the concern in the scenario? What connections to your experience as a teacher/educator come to mind? As a parent? What might be some possible ways to effectively address this issue/concern in concert with parents and guardians? Remember to consider educational research; legislation/regulations; and federation and board policies/protocols. Given the possible avenues you’ve identified above, which one(s) would you elect to pursue in this instance? What action plan/sequence of steps would you put in place? This sub-section offers a suggested way to co-create new knowledge or tools or to synthesize knowledge and skills gained from the module. It also offers a suggested path to collaborate in making improvements to current or existing practices or tools. As a division team, smaller team or working/standing committee, consider the supports and resources that are in place to support parents and guardians in their efforts to effectively help students excel and succeed academically. Then, conduct an audit or gap analysis by identifying other evidence-based or promising practices, resources and strategies that could be leveraged to bridge the learning between home and school. Use this information to supplement or expand available resources and strategies at the disposal of teachers and educators and encourage parents and guardians to use them to support their children’s learning. This sub-section offers a way to reflect on, self-assess and/or set goals in the area of focus in the module. It also helps to support independent, reflective opportunities that can help shape affirmations of, or changes in, practice or guide additional professional learning connected to module’s focus. Individually, reflect on your own experiences as a teacher/educator helping parents and guardians to support, at home, what their children are learning at school. To date, what have been the most useful and effective tips and strategies you have suggested that parents and guardians use to support, at home, their child’s learning at school? 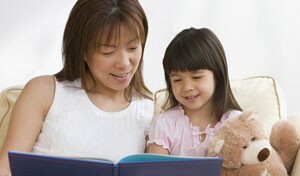 To date, what have been the most significant challenges or barriers to helping parents support their children at home? Given what you’ve explored in this module what different or new tips, strategies or resources might you draw upon to create strong school-home learning connections in support of academic success and achievement? Option A: View the COPA/OTF Capsule for Teachers for Teachers entitled Working Together for Students’ Academic Success (bit.ly/Capsules4Teachers) and use it as an entry point to or catalyst for a deeper discussion about ways to involve parents and guardians in the academic success of students. Individually, select one of the following quotations (in whole or in part) that resonates with, or stands out for, you. Remember, the quotation can resonate either because you agree or disagree with it. Huang and his parents emigrated to Ontario three years ago. Huang, who is in Grade 10, has shown considerable improvement in his ability to communicate in English in social contexts but he continues to experience difficulties in academic contexts particularly in written English. His teachers – across virtually every subject – have noted similar difficulties, including unintentional plagiarism. Following mid-term reports and parent-teacher night interviews, Huang’s parents have expressed concerns about his academic performance and progress. They fear he will fall behind as his high school courses increase in difficulty but they do not know how to help or support him academically at home. What might be some possible ways to effectively address this issue/concern in concert with parents and guardians? Remember to consider educational research; legislation/regulations; federation and board policies/protocols. Adapt and use the following chart to surface, from different perspectives, what types of resources or strategies might be useful to encourage or reinforce home-school collaborative efforts in supporting students academically. Share the results with parents and guardians at opportune occasions. Reflect on your own experiences as a teacher and educator helping parents and guardians to support, at home, what their children are learning at school.